No matter who you talk to in the hockey world, everyone has their opinion of NHL Player Safety and how they work. Anytime they decide punishment, fans let their voices be heard. More often than not, the voices we hear are from those who can’t stand the way the current system works. Whether it’s “why didn’t player A get more games” or “why didn’t player B get suspended”, opinions of NHL Player Safety dominate social media when announced. Are you sitting down? Yes? Good. Because I’m about to tell you something you will likely disagree with, and that’s alright. Despite what you think, NHL Player Safety has been surprisingly consistent with their decisions. Is it perfect? No, far from it actually. New precedence comes in every now and again. It may look inconsistent to you, but in reality, the league tries to adapt to the current state of the game. I think we all can agree that some changes will benefit the league. But don’t confuse that for inconsistency. Take a look at this in-depth look at Player Safety in action. It’s not nearly as bad as many of you think. No, the NHL is not “out to get your team” (yes, I am looking at you Blue Jackets fans). Fact is, the league doesn’t hate your team, nor are they trying to find every conceivable way to show favoritism to someone. The job of Player Safety is just that, to make the game safer for all players. Player Safety has a set of standards in place. Anytime you watch one of their explanation videos, the format is generally the same. They name the players involved, the action in question, and explain their reasoning. Take a look at how they handled Raffi Torres’ 41-game suspension. A review of recent suspensions actually shows how good a job they do, given how daunting and difficult a job it is. The question here is not whether we think punishment is severe enough. The question here is are they consistent with their decisions from situation-to-situation. At least this season, the consistency is there. Need proof? I’m glad you asked. Let’s look at some recent suspensions. Let’s start with the most recent announcement. Blue Jackets forward Jared Boll got four games for interference. Many in the hockey world saw this decision and immediately thought it was too severe. Expected #CBJ Boll to get one, maybe two games. Four games is heavy for a hit that did not involve targeting the head, or an injury. This tweet illustrates what many think should happen. It wasn’t a head hit. Boll should get one or two games tops, but four? Really? There are important takeaways from this. First, Boll is a repeat offender. He got a three-game suspension last year for an illegal check to the head. This factors in heavily to any punishment given. This is in the CBA. Players who repeatedly violate league playing rules will be more severely punished for each new violation. Second, notice that it says “repeatedly violate league playing rules”. It doesn’t matter the infraction committed. If a player breaks a league rule, and is a repeat offender, Player Safety will punish more severely. It’s really simple and spelled out for us. Boll’s interference penalty got him a five-minute major and game misconduct. Player Safety reviewed the play and deemed four games was enough. In their video, Player Safety said Boll’s hit was with “extreme lateness” and “predatory in nature”. It wasn’t a hit to the head, but it was a hit that could have been avoided. This is not the first time this season a player got four games for interference. Bobby Farnham also got four games. Player Safety deemed his hit was “with extreme lateness” and “predatory in nature”. It’s the same explanation that appeared in Boll’s video. Earlier in the season, Max Talbot got two games for interference. His hit on Jiri Tlusty was not as forceful or predatory as Farnham’s or Boll’s. Hence, he gets a lesser punishment. At least here, Player Safety demonstrates to us consistency with this call. Let’s look at a couple of examples of punishment stemming from elbowing calls. The most recent example was Chris VandeVelde’s elbow delivered to Jonathan Toews. VandeVelde got two games for this. Toews was not injured on the play, and VandeVelde had no earlier history of any kind. The standard set in this case is two games. Now let’s go back and look at Maple Leafs forward Leo Komorov. He got three games for his hit on Ryan McDonagh. Why did he get three games? Because McDonagh got injured on the play. Injury is a determining factor as we all know. This is consistent with the standard set. 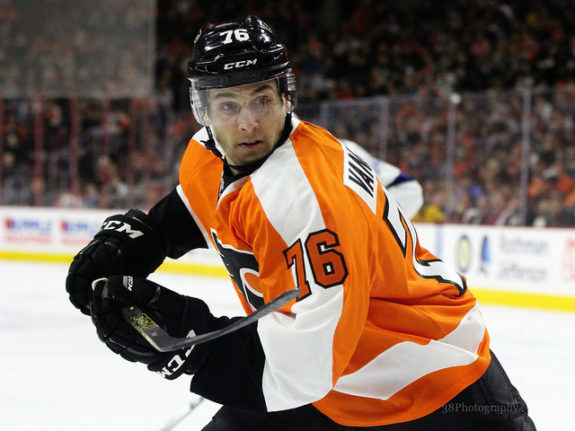 Komorov got three games, VandeVelde got two games. The difference is injury. Here’s another recent example of consistency from Player Safety. Dalton Prout recently got one game for punching Nikita Kucherov. This led some to question, including Elliotte Friedman in his 30 Thoughts, if this is a new standard. 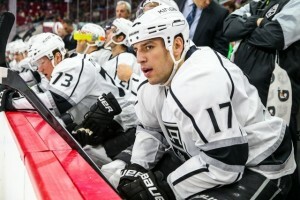 We need look back to earlier in the season and what Milan Lucic did to Kevin Connauton. Lucic not only slashes Connauton, he then throws a heavy right into Connauton’s face when he wasn’t looking. The league reviewed the sucker punch, and deemed it suspension worthy. Lucic got one game for the punch. Important to note that Lucic has history, while Prout does not. The league clearly does not want this type of play in the league, and rightfully so. Both players got one game. Curious to see now if this happens again, if one game will remain the standard. This is where I feel the league has done a good job with consistency. Let’s look at recent suspensions involving checks to the head to see why. Marcus Johansson got two games, while Nate Thompson and Radko Gudas got three games each. Gabriel Landeskog got two suspensions this season, two games for an illegal check to the head, and three games for cross-checking a player in the neck/head. Zac Rinaldo got five games because of his lengthy history. In each case, injury and a player’s history determined the punishment. If someone had no history and the other player didn’t get injured, two games was the punishment. Otherwise, it was a stiffer punishment. Whether you think this is severe enough is up to you to decide. But you can’t argue the consistency in how they decide punishment. This is the standard they use. Whether you feel they need to change the system is a different discussion. Now it’s your turn. How do you feel NHL Player Safety is doing handing out punishments? What in your mind needs improved? Are they fair in their decisions? Feel free to leave your comments below. Time for you to sound off.